The Felton Oxijet™ volumises the stream with air giving you a more luxurious shower. 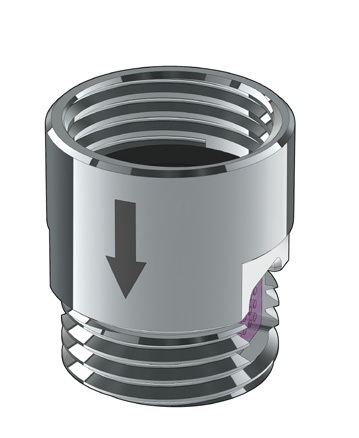 Traditional flow restrictors work by simply reducing flow and pressure, whereas the Oxijet™ uses flow energy to draw air into the water stream. The Oxijet™ works by jetting the water through 4 tiny nozzles, and sucking air into the stem of the shower rose. The air volumises and pressurises the water, creating tiny air bubbles within the water stream that burst when they touch your skin. In many mains pressure situations the Oxijet™ will pay for itself in water and energy savings, and help you do your part to preserve our beautiful planet. Shipping is $8.00 for any number of items. Copyright © 2019 Design Ecology. All Rights Reserved.